Changing Living Conditions in India as a Result of Climate Change — Just Atonement Inc. The World Bank has just released a study indicating that by 2050, India’s GDP will may drop by 2.8 percent and the living standards of much of the country’s population may drop as well, both due to climate change. The study was originally designed to examine the economic impact of predicted rainfall and temperature increases in specific areas throughout the subcontinent. Titled “South Asia’s Hotspots: The Impact of Temperature and Precipitation Changes on Living Standards”, these research findings indicate a projected 1 to 2 degree change (Celsius) by 2050, even with the restrictions put in place by the Paris climate change agreement of 2015. Almost half of south Asia’s population lives within designated “hot spots”, or areas in which the standard of living is expected to drop under all potential scenarios, from best case to worst. Here’s a visual depiction of how living conditions may change in the researched area. Contrary to some assumptions, the most affected areas in this case will not lie along the coast (though in other countries, hard-hit regions will be those that maintain high residential and commercial development along potentially flooded shorelines). Instead, India’s “hot spots” will be concentrated in flatter (not mountainous) inland regions. As always, reports like this study compel us to ask and re-ask our central question: What does this mean for us? 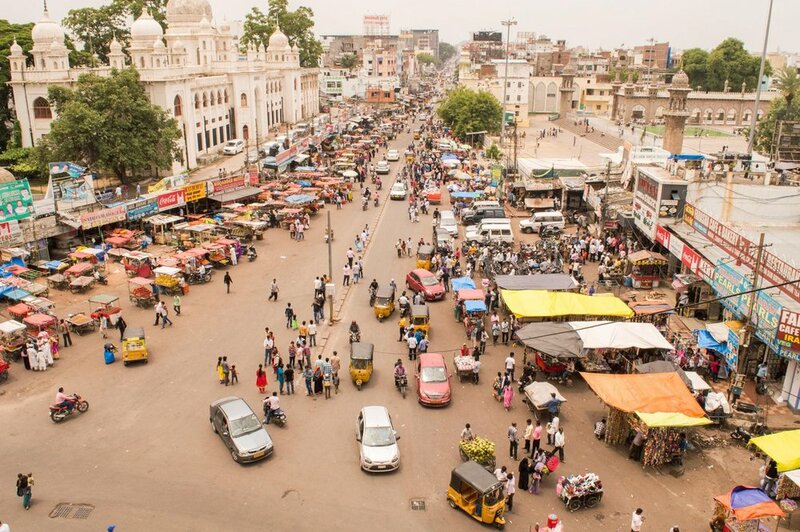 Here at Just Atonement, legislation passed in India that may affect national emissions standards, taxes on higher polluters, manufacturing controls, public energy usage, and waste disposal lie outside of our immediate control. But this news helps us anticipate the consequences of global trends, global emissions, and global laws related to human migration. The report highlights two areas of looming and possibly inevitable change, and encourages us to prepare for these changes as a global community. The first will be a temperature increase that recognizes no national borders. And the second will be a pattern of human migration that will likely begin with an outward flow from these identified hot spots. Where will the affected people go? If they must leave, which cultures, regions, and nations are prepared to take them in? How will both parties (residents and new arrivals) benefit or suffer as a result of this flow? Most important, what can we do to prepare for the ensuing events so that we, as a global community, are not caught off guard by changes that will not wait for us to announce our readiness? Climate change will change the way we live. And the first and most powerful changes are likely to affect two key identifiable aspects of our lives: 1) How we obtain and distribute energy, food, and water, and 2) how we migrate. Immigration issues are intimately linked to temperature issues; it’s our job to fix our gaze a few miles down the road and draw meaningful conclusions about these intersections and how we might ease the most disruptive aspects of climate change on the generations that are soon to arrive among us. Contact our office for more information and opportunities to make a difference.